We’re honoring our powerful bonds with our mothers this week by shining a spotlight on a dynamic mother-daughter team: Mary Kay Independent Senior Sales Director Elise Sharpless and her mom, Mary Kay Independent Beauty Consultant Donna Sanchez. This is so true. Once a mother, always a mother! But as Donna and Elise learned, life’s tough circumstances sometimes give us the opportunity to reverse roles and mother the beloved woman who gave us life. In March 2015, Donna joined Elise’s unit as an Independent Beauty Consultant. Mother and daughter were having a great time building their Mary Kay businesses together—teaming up, accomplishing their goals and cherishing every minute. Only six months later, Donna was diagnosed with breast cancer. Her life changed forever. Cancer had spread to her lymph nodes. She underwent extensive surgery, followed by six months of chemotherapy and then six weeks of radiation. Elise stepped up in a big way. Elise explains, “I wanted to be anything and everything I could for my mom. I took a hard look at what I could give up to be there for her. It was a big undertaking, yet I realized how fortunate and blessed I was to be able to spend this time with her. “Throughout her cancer journey, there were many unknowns, and so much was out of our control. We anchored ourselves by keeping our goals and visions in front of us. This gave us stability and helped us stay positive! While Elise and her family rallied to help Donna, their Mary Kay family assembled around them with an outpouring of love and generosity. Mary Kay Independent National Sales Director Cindy Leone and others brought meals. Mary Kay Independent Senior Sales Director Daryl Pagliuso prayed and sang hymns while visiting. Independent sales force members from Elise’s Legacy Leaders unit sent food, cards and notes of encouragement. Mary Kay Independent Beauty Consultant Jeneene Reduker gifted Donna with a handmade prayer shawl crafted by women in her church. “I'm thrilled that Mary Kay fosters a caring community of giving back. I’m honored to be an Ambassador for The Mary Kay Foundation℠, which is doing incredibly important work to help eliminate women’s cancers,” says Elise. Donna adds, “I’m so blessed and appreciative of all the support! I experienced many answered prayers and miracles. I believe God really provided for us during my treatment process. With treatment six months behind her now, Donna has come full circle on her cancer journey. She is helping other women walk the path she so intimately knows. Stay tuned to our Friday Features to find out how. Do you have an inspiring mother/daughter story to share? Please tell us in the comments below. 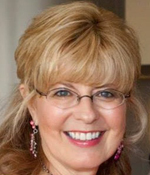 Diane Montgomery is a contributing editor for The Mary Kay Foundation℠. She's passionate about supporting the Foundation's mission of ending cancers that affect women and domestic abuse. She celebrates the powerful bonds between women and her close relationship with her mother. Write to her at MsDianeM@aol.com. Diane, such a beautiful and well written story about us!! I appreciate your insights into our lives as you listened so intently to what Elise and I shared with you!! I hope this is inspiring to other women!